Autumn, a season of changing colors, crisp air, football games, apple and pumpkin everything...what's not to love? 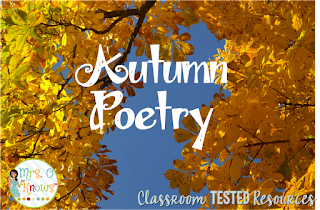 Autumn is a season that pleases our senses in every way, so why not embrace that and write some sensory poems with your students? For those students that want a bit more of a challenge, try autumn haikus. Haikus also use sensory language to capture a feeling or image. I like to take students outside for haiku writing, because I think that surrounding students with nature helps them to generate ideas. When students can see it, they can write it. Sit down in an area and talk about what students see, hear, feel, and smell. I suggest doing a 5-10 minute brainstorm where students just list all of their observations (and hey, call them qualitative observations while you are at it, and you've got a bit of science in there). Then, share some fall haikus with your students to inspire them. Here's a few I've written that you can share if you don't love poetry writing quite as much as I do. So embrace this wonderful season with your students and help them to see that poetry is an enjoyable experience. 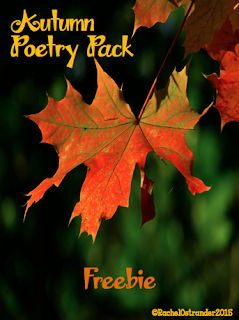 Since I love fall and all that comes with it, I put this fall poetry freebie together to share with you. 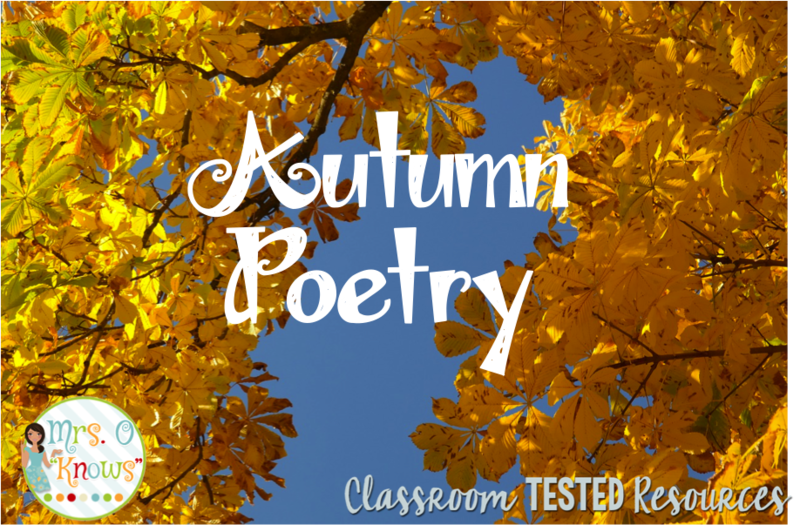 It has everything you'll need to get your students started with fall seasonal sensory poetry and haikus. It also includes my examples above. Enjoy! Cute idea for fall. Thank you.